As always happens after an election, the pundits and analysts this week went straight to work trying to explain what happened. A lot of things have been said, and will continue to be said. The big surprise, however, was what some of us have been saying for a while: America is experiencing drastic demographic changes. In the election of 2000, not too long ago, white Americans made up 87% of those voting. This past week, that number dropped to 72%! That is 15% in just twelve years. The difference is the growing immigrant populations. In Colorado, Nevada, Florida, and Virginia, it was the emerging immigrant populations that made the difference. For example, the second largest city in Colorado is Aurora. The city is now among a number of cities all across the U.S. whose population is over half non-white. In Aurora’s case, there are large populations of Asians, Latinos, eastern Europeans, Middle Easterners, and other people from around the world. Along the West Coast, it is the combination of Latino and Asian populations that have turned these states into Democratic strongholds. If we had the same demographics as we did twelve, or certainly twenty years ago, Governor Romney would have won by a landslide. Whether we like it or not, we must realize that we are a changing America. And those changes will continue, perhaps at even a faster rate than these past twelve years. The United States has now become the second largest Spanish speaking country in the world. That’s right……we have passed up countries like Spain, Chile, and Argentina. Only Mexico is larger. This has profound implications for business, the media, commerce, politicians, and yes, the Church. We live in a changing America. A question that has been repeatedly asked this past week is why did the immigrant communities vote so overwhelmingly for President Obama. (By the way, we are speaking of those immigrants who have become US citizens. There are still millions of others who are permanent residents or who are undocumented). It was not the economy. I even heard this week a Latino leader state that the Latino population was a better fit for the Republican Party. It was not the economy. It is what they have perceived as an anti-immigrant bias coming from the GOP. While it may be true that much of the political rhetoric stopped after the presidential primaries, and that Governor Romney shifted his stance somewhat on some issues, it was perceived as too little, too late. The big warning this week is that the GOP must embrace and welcome and listen to the immigrant communities. If not, we will cease to have two strong political parties here in the US. No matter where we stand politically, we should recognize that is not good for our country. Believe it or not, this blog post is not intended to make some political statement or analysis. Rather, it is an appeal to the Church to recognize that we are a changing America. And like the business world, or the political world, we must make the appropriate changes to embrace and welcome and listen. What is so sad, and even grieving to the Lord, is that a large amount of the anti-immigrant rhetoric in the past five years or so has come from those who identify with the evangelical Church here in America. While I know that most of the Church would not endorse such things, the Church overall has been silent. That is exactly what happened to the GOP. Many chose to be silent rather than to stand up against the rhetoric. Let the Church not make the same mistake again. Next week, I will be talking more specifically on the response the Church must have toward the changing demographics in America. Probably most of you recognize the above picture as the Arc de Triomphe (Arch of Triumph) …….. in Paris, France. I just returned from a trip to Paris last week. The Arc of Triumph is located on the famous Avenue des Champs Elysees. It was built in the early 1800’s and has been used ever since to celebrate famous victories and conquests. 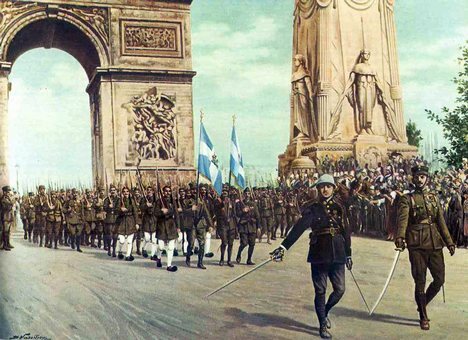 The above photo shows the triumphant march of the French army following WWI. You have no doubt seen pictures of Hitler, and a few years later, the Allies, marching through the Arc of Triumph, celebrating their victory. The winner of the famous Tour de France always ends the race by triumphantly passing under the Arch. 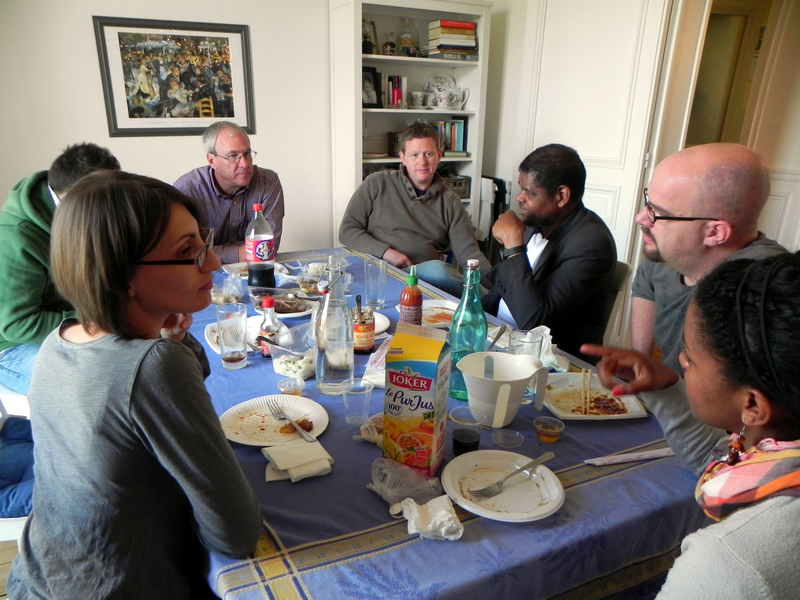 When I was in Paris, I was talking with a leading intercessor there in the city. She told me of a vision the Lord gave her 30 years ago. She saw a picture of the WWI general passing through the Arc de Triomphe, probably very similar to the one above. Crowds were shouting and yelling and celebrating. All of a sudden, the crowd changed. The shouting was louder, and there was dancing, and joy filled the street in a way she had never seen. Then she saw it was the resurrected and glorified Jesus coming through the Arc. The final conquest, the final victory, the final triumph belongs to Jesus Christ! There was more to the vision, but that picture has stayed with me. 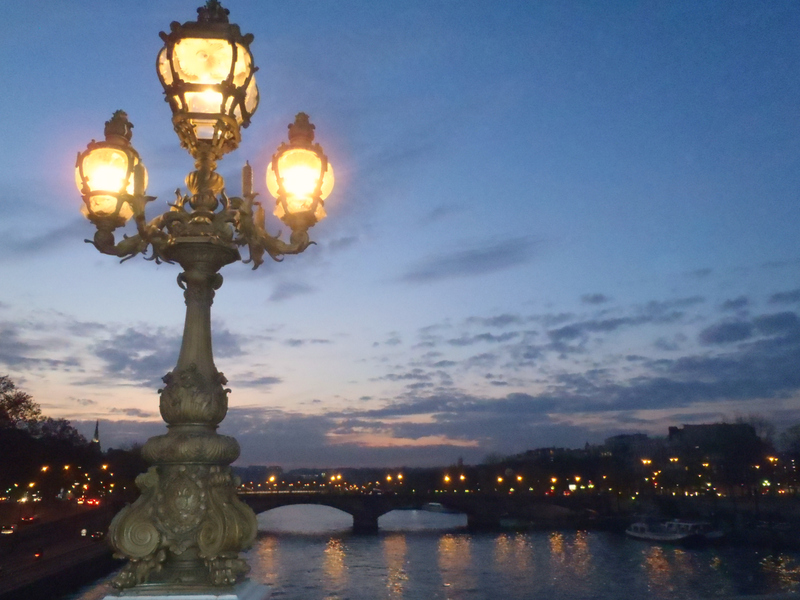 In Paris, just like any other place on this earth, most of the time we can’t see everything God is doing. At times, it seems like there may be more setbacks and disappointments than advances for the Kingdom of God. It appears that what God has spoken in our hearts is happening far too slowly than what we would like. That has certainly been the case for many workers serving in Paris. And that has been the case for many of us in many parts of the world. It is at times like these we must focus on what we know will be the final triumph….. when Jesus triumphantly comes to meet His Church. There will be a victory march that will make all the victory marches in history look superficial. And whether God has us laboring in the U.S., France, Mexico, Russia, China, Pakistan, Africa, or anywhere else in this world– we know who has the final victory. We may be going through a season of great fruitfulness, or a season of pruning and perplexity, but we must always keep the picture of Jesus, the Great Conqueror, before us at all times! Today I want to write about a topic that is rarely talked about in our churches, yet is something that almost all of us have seen: Jealousy. Having been in ministry for forty years I have noticed that jealousy has crippled countless Christian lives. It has caused dedicated workers to abandon their call, it has ended close friendships, it has cut people off from church fellowship, and it has driven believers to irrational behavior. It is a poison that must be stopped in each heart. We must not ever let it take root in ourselves, and we must warn others of its danger. The Scripture is filled with examples of jealousy. The first to be mentioned is Cain, jealous that his brother’s sacrifice was accepted and not his. Without going into the reasons why his sacrifice was not accepted, we can easily see that this jealousy led first to separating himself from God and then eventually to killing his brother. Sin, in the form of jealousy, was crouching at the door, and Cain could not master it (See Genesis 4). We see jealousy again between Jacob and Esau, where we are told that Esau allowed a root of bitterness to destroy his life (Hebrews 12:15-17). Then there was the jealousy Joseph’s brothers had concerning Joseph (Genesis 37, especially verses 5, 11, 18-20). The jealousy here led to the drama, with all its sin and heartache, that is recorded in Genesis 37-50. We still haven’t even left the first book of the Bible! In almost every case of jealousy mentioned in the Scriptures (and there are quite a few) very serious consequences resulted. In Numbers 12, Aaron and Miriam nurture that spirit of jealousy against Moses. The consequences are that Miriam is struck with dreaded leprosy. Another vivid example of jealousy, and it consequences, begins when King Saul hears the women of the city sing, “Saul has slain his thousands, and David his ten thousands.” From that day forward, Saul becomes jealous of David (I Samuel 18, especially verses 6-9, 12, 15, 28-29). The jealousy became so intense that Saul repeatedly tries to kill David. Saul’s relationship with Jonathan his son is destroyed because of this jealousy. The rest of I Samuel is essentially this story. Saul is driven crazy because he allowed jealousy to take root in his life. Actually, this jealousy opened the door for an evil spirit to harass Saul (I Samuel 19:9). Jealousy is a poison that enslaves, blinds, and can even destroy the life of God in our lives and in those around us. It produces insane behavior. There are more examples in the Scripture. We are told in the New Testament (James 3:14-16) that jealousy is demonic and leads to disorder and every evil thing. I have observed that most church splits and division among church leadership have at least some connection to jealousy. Jealousy may not always be the central issue of the division, but it often keeps the offended and separated parties from being able to appropriate the clear Biblical principles of relationship. Sadly, most of you reading this have yourselves seen far too many examples of this. Having had the opportunity to see some of these situations closely, I can testify that jealousy has been a major factor in preventing Biblical resolution from taking place. Jealousy strikes at all levels of our society. We see in the political arena. We can point to examples in history where wars have started because of jealousy. We see it within sports teams and between teams. We see it in the entertainment industry, the media, in education, and in business. We see jealousy among students of schools of all levels. We see it between spouses and among siblings. This corrupted world is filled with jealousy. But among God’s people? We cannot tolerate it! We have to recognize it for what it is, and reject it and its evil lies that destroy our unity! My admonition to all of us is that we diligently guard ourselves from this poisonous spirit of jealousy that will destroy us and the work of God around us. And let’s talk more openly about this evil within the Church. If not, we will continue to fell prey to the ugly spirit of jealousy. We will continue to see division. We will continue to see workers abandon their calling. We will continue to see ruined lives. Question: Where have you seen the affects of jealousy? Why Do I Love the Church? Why do I love the Church? And why should you also love the Church? Sadly, it has become very popular for Christians to bash the Church and minimize her importance today. I hear people saying the Church is no longer relevant. Some suggest that whenever 2-3 Christians gather in a coffee shop, that is really Church. Others say that they are a part of the world wide church and that is what really counts. Never mind that over 90% of the references to Church in the Bible relate to a local congregation. Sure, gathering in a coffee shop is part of Church, but only one part. Church, as described very clearly in the New Testament, is a group of disciples committed to Jesus and to one another. There are leaders or shepherds, there is discipleship taking place, there is a sense of mission, and there is correction and admonishment when needed. I agree that the Church generally is not where God wants her to be. There needs to be changes for her to be all that God has intended for her. There are certainly faults and weaknesses. That’s because the Church is made up of people, and even redeemed people are a work in progress. It amazes me how much we extend mercy on people (even excusing sin at times) but not the Church. The Church is people. So why do love I love the Church? I can think of a number of reasons, but I want to mention just four today. 1. 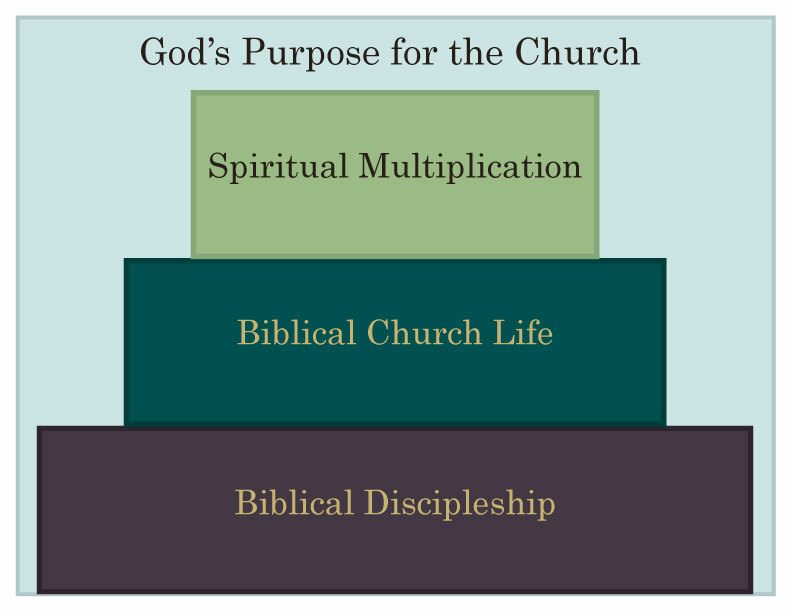 I love the Church because the Church is God’s instrument to bring about spiritual growth and maturity in His people. It is through the Church that God has designed for disciples to be made and reproduced. Without the Church, His people will not grow significantly, nor will they be equipped to do the works to which He has called them. Ephesians 4 is only one place that clearly states this. 2. I love the Church because the Church is the pillar and support of the truth (see 1 Timothy 3:15). One reason so many today are being deceived by all sorts of tangents and heresy is that so many have disconnected themselves from the Church. The Church has been given the responsibility, and the anointing, to guard the truth. Without the Church, truth will be lost! 3. I love the Church because the Church is the body of Christ here on earth. Do we understand that? The Church is Jesus here in this world. We are His hands and feet and mouthpiece. We don’t just represent Jesus here on earth, but we ARE His body. The world will not truly see Jesus without the Church! 1 Corinthians 12 is one of many passages that states this. 4. I love the Church because the Church is the Bride of Christ. See Ephesians 5. She is the focus of Jesus’ attention and affection and love! When I hear arrogant Christians bash the Church I must admit that I cringe. Is there no fear of God? How can someone who claims to know Christ bash His bride? It is the ultimate of pride, and it certainly shows no fear of God whatsoever. Jesus loves His bride, the Church, and so must we. No wonder the kingdom of darkness works so hard to discredit the Church, and then tries to separate Christians from the Church. Within the context of the Church, followers of Jesus grow in maturity. The Church is the pillar and support of truth. The Church is the body of Christ here on earth. The Church is the Bride of Christ. And the day is coming soon when Jesus will return for His Bride, and bring an end to the kingdom of darkness. No wonder there is such attack on the Church! At Immanuel Fellowship, we are currently going through a series of studies called “Journey Through the Bible” in our weekly house churches. Yes, it is quite an endeavor, and one which will take us about four years to complete. However, we believe very strongly that all of us need to have a solid foundation of the Scriptures. We have been blessed with having so many among us who have only recently in the past year or so made commitments to follow Jesus. And we have found that even those who have been in the Lord for some time have major gaps in their understanding of the Word, especially in the Old Testament. We have not gone very far yet. Most of the house churches are in the book of Numbers, I believe. But the Lord is teaching us so much! Recently, in our study of the book of Leviticus, we studied the three annual convocations that Israel was to observe. This turned out to be a fascinating study as we looked at both the historical significance and the prophetic aspects of the Passover, Pentecost, and the Feast of Booths. Pentecost, often referred to as the “Day of Firstfruits” in the Old Testament, was the time when Israel would gather to celebrate the coming harvest. It was a statement of faith as much as anything, to what Israel believed God would do in the coming months. It is no coincidence that the Lord decided to “kick off” the Church on the Day of Pentecost. Acts 2 records the story when God brought into the Church three thousand souls from all over the world. This, too, is prophetic of what God wants to do. There is a Harvest coming that will bring in people from every nation, tongue, tribe, and people. This past Sunday was Pentecost Sunday. We didn’t plan it this way, but we happened to have scheduled a water baptism for that day. We didn’t have three thousand baptized, but we did have sixteen people baptized, which is one of the largest baptisms we have ever had as a local church. Because of our recent study on the Day of Pentecost, we were all fascinated with the promise that there is a Great Harvest coming! And we believe that we are already seeing the firstfruits! And, as a statement of faith, we celebrate what God has promised! What is truth? That is the question Pilate asked Jesus (John 18:38). It is also the question that many today ask. Actually, just the night before, Jesus had been praying about truth. He prays, “Sanctify them [His disciples] in the truth. Your word is truth.” (John 17:17) God’s Word is truth; nothing else is mentioned. Only God’s Word is unchangeable, timeless, and applicable to every culture that has ever existed or ever will exist on this earth. If we want to be truly sanctified, or made complete in Him, then we have to follow the path Jesus showed us. There is no other way. In John 15 we can see Jesus instructing His disciples: “If you continue [or abide] in My word, then you are truly disciples of Mine, and you will know the truth, and the truth will make you free.” (John 8:31-32) It is not by merely reading the Bible that we will be free and sanctified. It is by abiding in His Word; it is by allowing it to saturate our lives; it is by being rooted and established in His Word. When we are rooted, that is, planted firmly, in His Word, then the truth and life of His Word will begin to fill and dominate our lives. Our thinking and our desires will be dominated by this Truth. Our choices and actions will be shaped by His Word. The result is that we will be set free to be all God has destined us to be! Without being rooted in His Word, we will never experience true freedom! I urge all those struggling, and those who are riding the emotional and spiritual roller coaster, to pursue the goal of being rooted and established in His Word. This is not a one week or one month project. It is a life-long commitment.